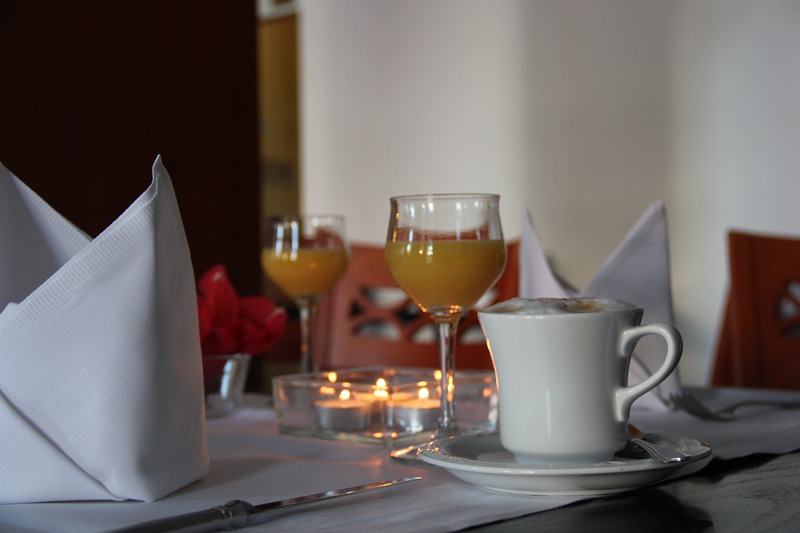 Have a good start into the new day with our delicate breakfast buffet. It's crispy - try our extensive selection of rolls and bread. It's nutritious – a broad selection of cereals and müsli is awaiting you. It's healthy - fresh fruit and a fruit salad give you the vitamins for the day. It's satisfying- eggs are always freshly prepared according to your wishes. It's steaming - hot coffee and a broad selection of tea let you have the choice.